Whatever credibility the Oscars once had as a legitimate award ceremony—assuming it ever had any—has undoubtedly been lost. The overwhelmingly white, male institution responsible for deciding which movies deserve praise is only one manifestation of a predominantly racist and sexist film industry. Instead of binge watching all eight Best Picture nominees (like the rest of the country is doing), here are some fantastic—and significantly more diverse—movies you should watch instead. Besides, any category that includes the xenophobic, highly offensive, obnoxious patriotic romp American Sniper doesn’t deserve to be taken seriously. Contrary to what’s written on all of Reslife’s “Installment” posters, Gone Girl actually isn’t a contender for Best Picture (or even Best Director). Suspenseful, creepy, and well-acted, the film certainly deserved a nomination. It’s worth watching just for Rosamund Pike’s performance. Wild tells the story of Cheryl Strayed’s modern-day Odyssey as she hikes alone on the Pacific Crest Trail. It’s refreshing to see a woman over 30 allowed to be the centerpiece of a major film. Are you looking to wallow in intense feelings of weltschmerz and general disillusionment for a couple of weeks? Do you enjoy thinking about the structural inefficiency of capitalism and pondering the hypocrisy of a hierarchical class system? Korean director Bong Joon-ho’s epic film Snowpiercer is the perfect blend of science fiction, action, art house, and allegory to throw you into the depths of a long and unsettling existential crisis. You’ve probably heard of Belle before, as its New York premiere was during last year’s Athena Film Festival. The super-successful indie film tells the true story of Dido Elizabeth Belle, the mixed-race daughter of Royal Navy Captain in 18th century England. Gugu Mbatha-Raw, who plays the title role, also stars in Beyond the Lights, a film being shown during this year’s Athena Film Festival. The trailer alone makes me cry happy tears. Pride recounts the true story of gay and lesbian activists raising money for a town of miners during the UK Miners Strike of 1984-85. With an impressively large and talented cast telling a story that seems too good to be true, the film avoids feeling formulaic by instead offering inspiration mixed with bittersweet poignancy. Image courtesy of CBS Films. Fall’s most anticipated film is out today! With summer blockbuster season over, we can now eagerly turn our attention to Fall’s store of much-anticipated dramas, thrillers, and comedies. Here are just a few films you won’t want to miss during the next few months. Don’t forget to pick up discounted tickets at the Barnard Box Office! 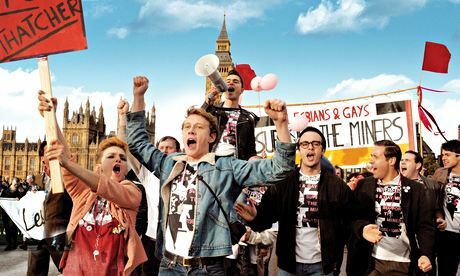 Pride: Based on the true story of an unlikely alliance, this drama focuses on the aid provided to English coal miners in 1984 by the young members of the LGBT community. 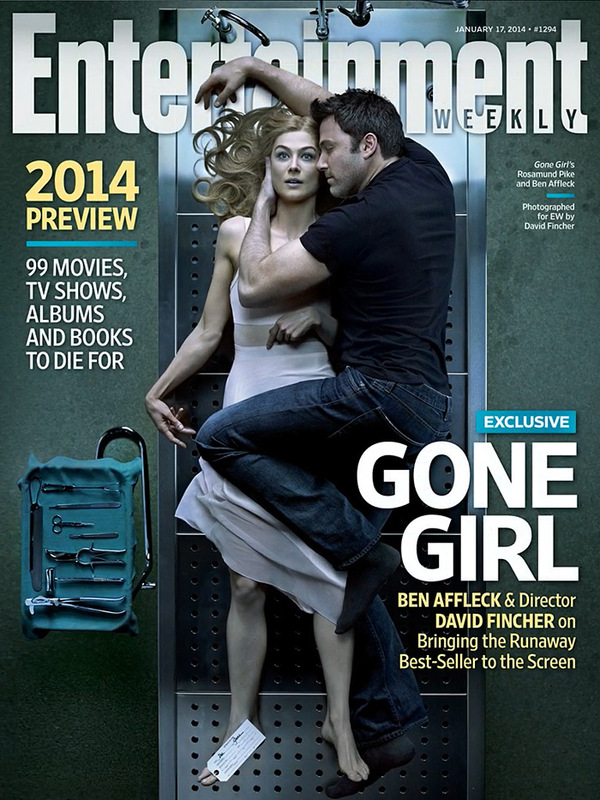 Gone Girl: Ben Affleck plays a husband suspected in the disappearance of his wife (played by Rosamund Pike). Based on Gillian Flyyn’s novel. Birdman: With a dash of irony, former Batman Michael Keaton plays a washed up former superhero actor named Birdman, who struggles to put on a Broadway show and get his life together in the process. Fury: Brad Pitt leads a crew of soldiers through Germany during the second World War in a tank called Fury. Co-starring Shia Leboeuf and Logan Lerman. St. Vincent: When a divorcee (Melissa McCarthy) and her young son move into the neighborhood, a grumpy war veteran played by Bill Murray finds himself in the unlikely role of babysitter. Nightcrawler: Jake Gyllenhaal plays a wannabe photographer who takes to the night and goes to desperate ends to capture gory footage. Interstellar: In a post-apocalyptic world, Matthew McConaughey plays a father of two who is sent into space in order to explore interstellar travel as a means of human survival. The Theory of Everything: Eddie Redmayne portrays Stephen Hawking in his early years as he falls in love with Jane, his future wife (played by Felicity Jones), works toward his PhD, and is diagnosed with motor neuron disease. Foxcatcher: Steve Carrell takes on a dark role in this psychological thriller as schizophrenic wrestling coach John du Pont. Also starring Mark Ruffalo and Channing Tatum. Mockingjay: Part 1: The beginning of the end to this much beloved series comes out November 21, and if it’s anything like the previous two films, we’ve every right to be very excited. Inherent Vice: Based on Thomas Pynchon’s novel and directed by Paul Thomas Anderson, this film stars Joaquin Phoenix as a private investigator-slash-druggie. There is no trailer, so we’ll have to trust the Internet hype on this one. The 86th Academy Awards are this weekend, and as promised, our Oscar poll is ready to go! The Oscars will be on ABC on Sunday, March 2nd at 8:30pm. Look out next week for our annual post-Oscar analysis. Enjoy the show! Sorry Olaf. Give it to the minions! Before I begin tearing apart something that makes small children happy, let me say that I enjoyed Frozen quite a lot. From the stunning visuals to catchy tunes, funny moments to seamless animation, I left the theater pretty okay with having paid an exorbitant amount of money to see it. So far, the film has won the Annie Award, the BAFTA, and the Golden Globe for Best Animated Film — it will most likely win the Oscar as well. Does it actually deserve it? Yeah, no. Not really. Any First-Year English or Film Studies major armed with a copy of Story by Robert McKee could point out the movie’s glaringly obvious flaws — its weak and superficial plot, its unnecessary amount of characters (all of whom go underdeveloped), the forced romantic relationships, the “cheap trick” out of nowhere Hans plot twist, the fact that all of the speaking characters in a fictional place are white, etc. Dani Colman has written a fantastic article pointing out why Frozen is a “faux-feminist” film, which you should definitely take the time to read. Should Frozen win the Oscar even though it fails to tell a decent story? Why does good storytelling even matter? Why do the rules of good storytelling even exist? Stitch: Wow, look at that duck. It has a family. I totally have no family. This is causing me some serious internal conflict. Nani: Lilo, your weird blue dog has ruined our lives. I can’t find a job and I have no means with which I can take care of you. You are going to be taken away from me tomorrow. I am sad. You are sad. This is how you do a story about sisters. Or as in “Fixer Upper,” a song and dance that literally pushes Anna and Kristoff together in order to make up for the complete lack of relationship building or character development either character gets in the film. Is to fix him up with you! In the Aloha O’e scene from Lilo and Stitch, we (the audience) don’t even know what Nani is saying, and yet we’re left at the end standing in a pool of our own tears with mascara running down our cheeks. Nani and Lilo both face internal and external struggles: their relationship and the external forces that trouble them have been well-written and well-developed so the audience sees them struggling, as opposed to being told about their struggles. This scene from How to Train Your Dragon (which, by the way, is the best animated film of the last five years) also serves as an excellent example of the power visual storytelling. By trusting that the audience is intelligent enough to think about the film’s protagonist and come to their own conclusions, they empathize with their struggles and feel emotionally invested in their goals. When the conflict gets resolved, we actually feel joy as opposed to seeing the characters feel joy. In Frozen, Anna acts as the protagonist of the film, although the only conflict she faces is external: her sister, Elsa, is the character who needs to grow emotionally in order for the conflict to be resolved. And yet, Elsa is basically relegated to non-character status: she isn’t a protagonist or antagonist, but is simply a plot device. In order to feel emotionally invested in a story, the audience needs to empathize with the internal struggle the protagonist faces. Because that aspect is missing in Frozen, the conflict’s resolution involves the audience seeing our main characters feeling joy, but not actually feeling any of it. The resolution and accompanying happy ending feels convenient and emotionally unfulfilling. If the point of telling stories is to make the audience feel something – to have a cathartic experience – they need to empathize with the internal struggle of the protagonist, be allowed to make inferences about relationships between characters, and see characters develop instead of being told through simple dialogue and montage. In the case of Frozen, I paid $16 to sit in a theater with a ridiculous pair of 3D glasses on my face so that I could have a story told to me. Through my ears. Totally great. Yep. So why does it even matter that Frozen is actually really bad? It’s a movie for little girls! Disney’s character design department taking some serious risks. Quality shouldn’t be what designates a family film from an adult film. I don’t care who the intended audience of your movie is, lazy writing and weak storytelling is unacceptable for a film with a $150 million budget. This is especially unacceptable in a universe where films like Lilo & Stitch and How to Train Your Dragon exist, neither of which won an Oscar by the way. Both of these films manage to be well-written with interesting and complex characters. They are “family films” because of theme, not quality. Disney has created well-paced and well-developed stories in the past, such as the A+ film Tangled, which is one of the many reasons why I’m so confused by Frozen’s quality. Did they just… not care? Or did they simply decide that a movie marketed towards little girls would get a pass for being poorly written? The film’s success is more saddening than it is confusing. I sincerely hope that it doesn’t lead Disney to believe that they can put out mediocre films that will inevitably succeed just because they’re “marketed towards little girls.” I hope we can all agree that recognizing a film’s flaws doesn’t mean you have to hate it entirely. The point of this article wasn’t to make you stop belting “Love is an Open Door” in the shower: I certainly won’t. But I think it’s fair to demand quality storytelling with well-written characters who are flawed, interesting, and complex, even if the Academy disagrees. Frozen underestimates the intelligence of the audience and makes us waste $16 so that it can tell us a story through our ears, as opposed to showing us a story through a visual medium. The film leaves us confused and emotionally unfulfilled, but it will win the Oscar because it’s a movie “for little girls” and was made by Disney. Go rent How to Train Your Dragon or Monsters University and bask in the glow of a well-paced, well-written story instead. Danielle Owen is a first-year at Barnard and a staff writer for The Nine Ways of Knowing. Images courtesy of Danielle Owen.